Mobile Website-Mobibizs > Mobile Commerce Applications > The Five Most Useful Mobile Marketing Tools!! 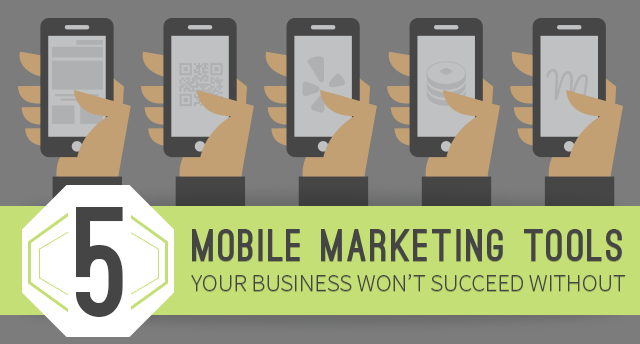 The Five Most Useful Mobile Marketing Tools!! There is 37% of online surfing behaviors are happening on mobile device in United States. Also according to Google’s survey, 67% of users prefer shopping on the websites that are suitable for mobile device. Let’s check out how many tools you’ve been using!! If you still haven’t used tools, you need to take your chance to get yourself back in the game this year. Catching the attention of people who love using mobile to browse or shop is the good way to the goldmine. I believe everyone have already read many articles about mobile marketing strategy. And if you still haven’t taken action on that, you’re taking risks of missing more and more users.